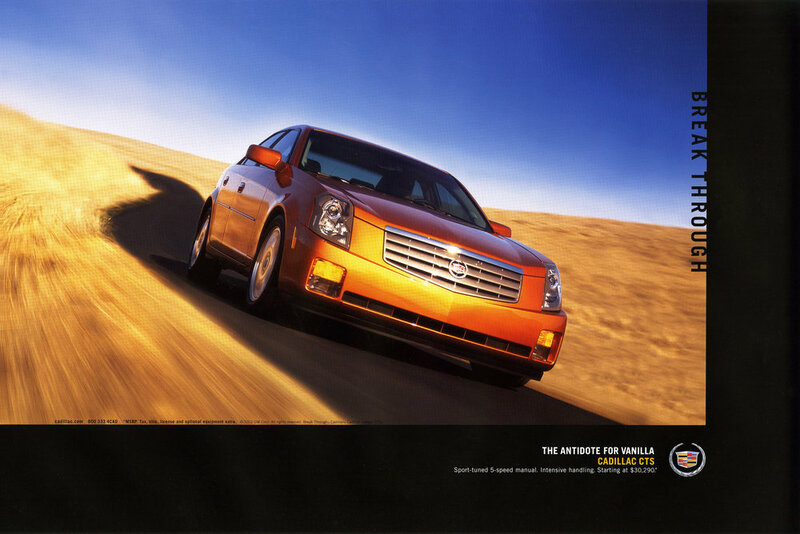 Cadillac needed a face-lift for both product and advertising. New luxury was athletic, bold and unapologetic. We created a fully integrated campaign using the Break Through theme to become a rallying cry for our younger luxury consumer. A little Led Zeppelin didn’t hurt either. With all the humorous TV spots, the Super Bowl is a tough venue to run an automotive spot. We created a :60 full-line TV spot that introduced the new Cadillac SRX at the end. Along with cool special effects and some help from Led Zeppelin, we finished in the top 10 of the USA Today readers’ poll and made it clear that Cadillac was back.